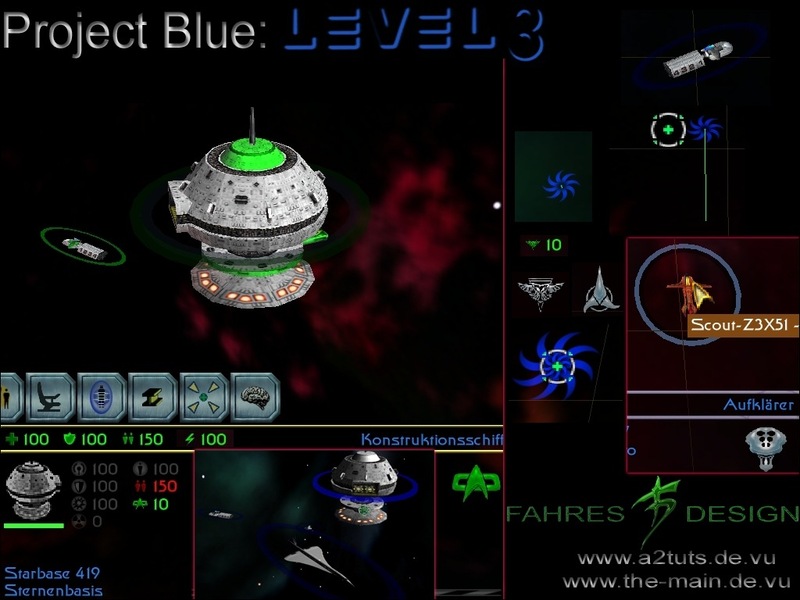 This third installment changes the generic race GUI items such as the Grid Select button and Ship Info handlers. The Grid Select button handler is cool. Shaped like, well a cross between a Circular Saw Blade and a circular wind vein (I actually forget the shape's name), it certainly is a departure from the stock Grid Select. The Race icons are also different as they appear to have a chrome effect which is better than the plain white stock ones. Ship info icons are also changed, with similar chrome effect done to them (the shield icon looks like an Anti-Virus logo icon). All-in-all it's a nice little package from FahRes'. Note: Level 1 and 2 are not required for this but would be a good thing to have to match these. This mod does not change race specific GUIs. 3. -Choose the directory: "...\Activision\Star Trek Armada II\misc". Open the file "gui_interface.cfg" with the Windows Texteditor. 4. -Choose the directory: "...\Activision\Star Trek Armada II\Sprites". 5. -If you have installed Project Blue: Level 2, continue with the following step to remove a little bug. If you have not installed that Mod, then ignore this step. Choose the directory: "...\Activision\Star Trek Armada II\misc". I'm not a modder, and I understand that this is harder than it looks. Thank you for responding.